2015 started with a health resolution and whilst the first few weeks have been bumpy, I’m chuffed that I’ve managed to not completely fall off the bandwagon. I wish I could give you a fitness update, but sadly, I’m not there yet, so we’re going to have to do with this recipe. WARNING: You would want to make it right away! Add all the dried spices and salt to the dried Couscous. Add just enough boiling water to cover every bead of Couscous. Cover with foil or cling film. Leave aside. Now, uncover the Couscous and toss it with a fork to reveal its fluffiness. Add all the ingredients. Add S&P to taste. Lastly, add the dressing and give the salad a good toss! 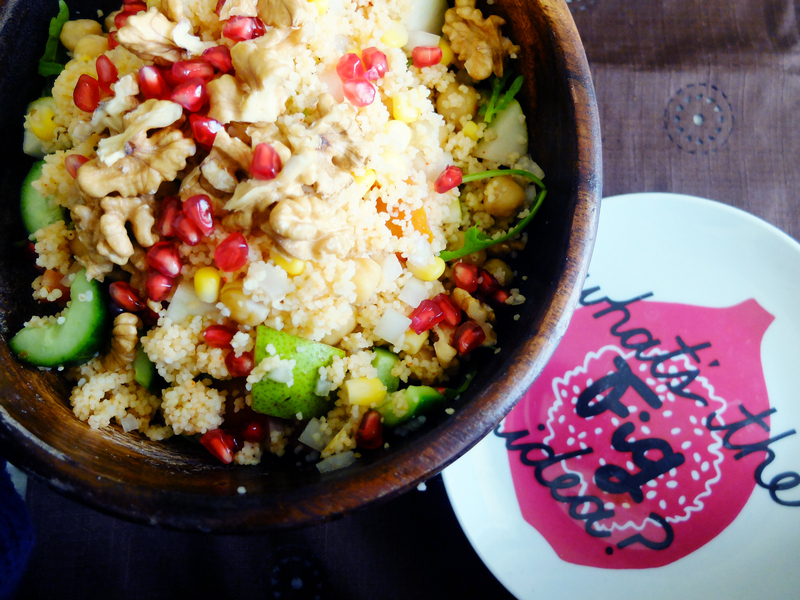 Top the salad with some more pomegranate, walnuts (cheese if you fancy, I personally don’t) and Enjoy! 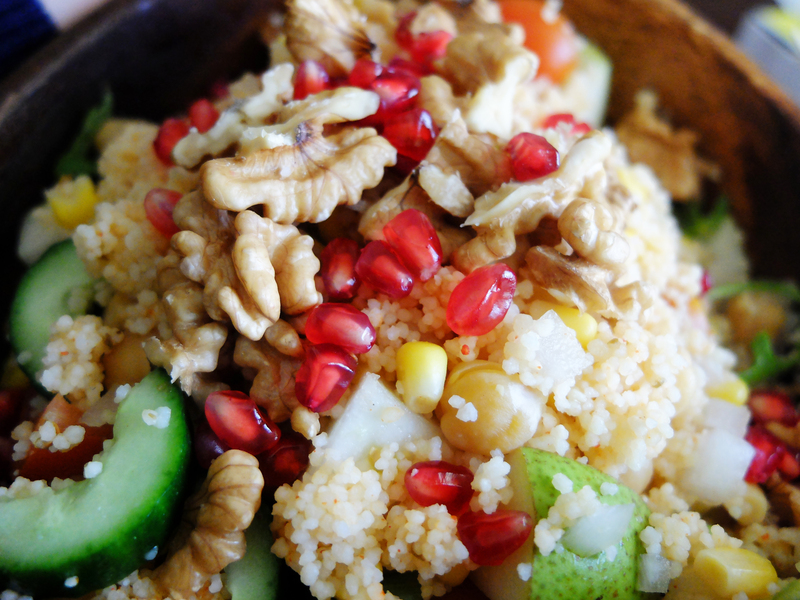 SIDE NOTE: YOU CAN ALSO PAIR COUSCOUS WITH GRILLED AUBERGINES, GRILLED HALLOUMI AND WALNUTS AND MANY MORE COMBINATIONS. THIS IS JUST MY VERSION.